Recent studies confirm a conservative population estimate of 14,000-16,000 grizzly bears in the province. Today the bear hunting season opens. This typically coincides with significant media attention regarding the hunt. Lately there has been considerable attention given to grizzly bears in the media. 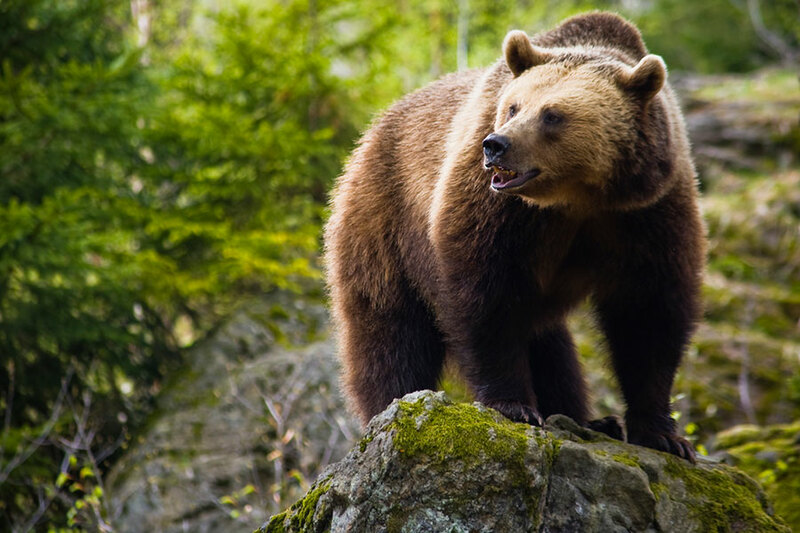 There are divergent opinions regarding how grizzly bears should be managed, but it is certainly fair to say that all parties (whether you hunt bears or not) share a desire to see this species thrive in British Columbia. It is critical to ensure that the debate is pursued on a course of knowledge, and not along detours that only provide partial insights or misconceptions. It is in an effort to help ensure a balanced discussion that the Guide Outfitters Association of British Columbia (GOABC) would like to provide some background to aid in answering questions you may have. Many people who reside in urban areas have never been exposed to the vital role hunting plays in effective wildlife management. Some have suggested that leaving nature untouched will allow wildlife to thrive on its own. This may have been true in the past, but it no longer applies in our heavily populated and constantly developing province. The interface along which wildlife and people now interact is becoming increasingly crowded and complex. Wildlife and the habitats that support them exist and thrive today based on the level of stewardship humans provide.